Summer season is here and Honda looks in mood to give Indians a cool treat in this scorching temperature, while ‘Amaze’ sip tends to be the best option from Japanese shack. 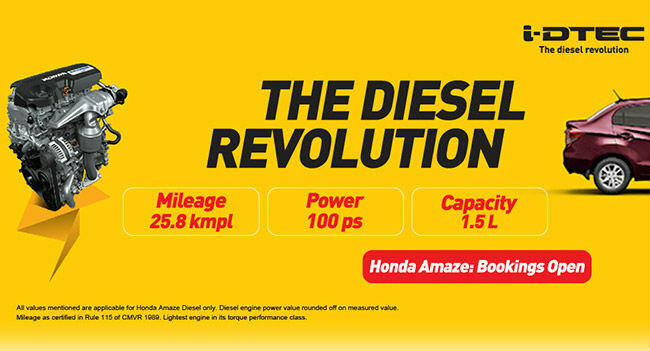 It took a lot of time for Honda to say the Indian launch of launch of Amaze is on 11th of April 2013 and then market will see a new king of diesel horizon, as was lacking in oil burning jag for quite long time. One had been disappointed to get diesel options from his favorite carmaker but now as per organizational claims, ARAI had churned out massive 25.8 kmpl fuel efficiency from a single liter of diesel under the Amaze-ing hoods. Honda dealerships had started accepting bookings and will also shortly provide test ride in the newbie, however ‘Honda’ moniker is the stealth of trustworthiness so will gain some miraculous figures in its first phase itself. Leaving no exceptions to the fraternity, petrolheads will have their piece of cake as well with 1.2 liter i-VTEC, which is now being used to power younger sibling Brio hatchback. 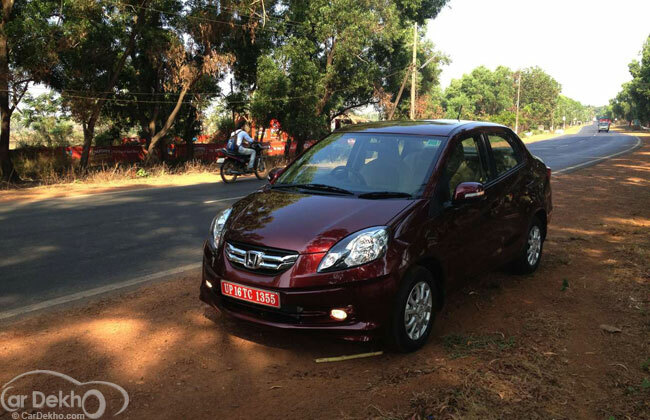 Moreover, Amaze looks similar to Brio till its first half, and the latter one is worked by designers on a smart piece of canvas as had achieved unexpected aerodynamics with extended wheelbase and a lot of space inside, due to various redefined strokes. 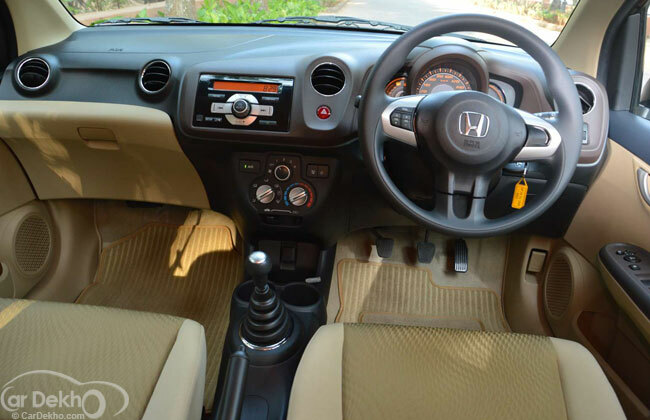 Even interiors too draw almost similar vibes to that of Brio, and to match it in the mainstream of entry level sedan segment, Honda Amaze wears chrome streaks on the boot, heating up stride with famous nameplates like Swift Dezire, SX4, Fiat Linea and such. Technical figures display variability in their outcome and chalked out one says, 90 PS for 1.2 liter petrol and 100 PS with 200 NM for 1.5 liter diesel jag. It is also said, the oil burner is designed alongside 1.6 liter i-DTEC which is used to apply in the engine bays of UK spec Civic and CR-V.
As we had already mentioned some awesome sort of fuel efficiency figures in above stanzas, henceforth only pricing remains to be tackled in this highly competitive game. Choosing the proper gap will make Honda winner on its own part, while on other side of flip there stands numerous competitors to convert losing scores from this automotive giant into their profitable business. Overall, Amaze is a sub 4 meter metal so will derive exemptions in duties from government’s end to rival others on Indian shores. We sometime fear that, Honda is now here with a its own diesel jag which is a clear winner of our fraternity, so may our government officials would change their mind in favor of Indian-originated carmakers with the help of duties and taxation hassles, just like they had been doing since the long past of our history.